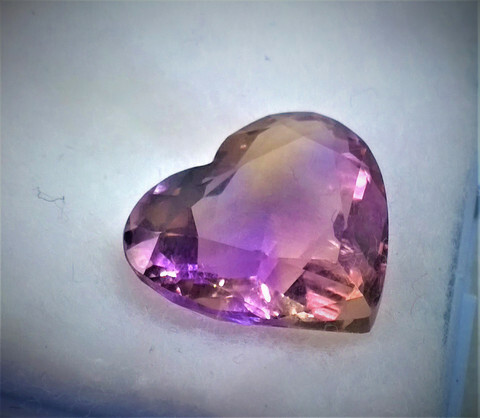 Ametrine is the trade name given to an unusual variety of quartz which exhibits the colors of amethyst and citrine side by side. The material has received a good deal of publicity and was first said to be mined in Brazil. Later it was reported to have come from Bolivia.